Not only is it a day to remind us to show love, it is Jim's and my "Half" Anniversary! (We're celebrating 29 1/2 years of marriage this year!) Since we've had kids, we celebrate family love and love to others more than romantic love on that day, but don't worry, we still keep plenty of romance in our marriage. Our kids are well aware of our love for each other. Here are some ideas for making the day a special day of giving love. When I was in college we had "Secret Heart Sisters" during Valentine's week. We all chose names from from a basket full of papers with our names and all week we were supposed to secretly express love to the girl whose name we had picked. I can remember wandering around the dorms trying to look nonchalant as I carried a large poster board heart in a hallway I had never ventured down before. It was so fun to watch our children who normally squabbled, like kids in all families, trying to find ways to show each other love. 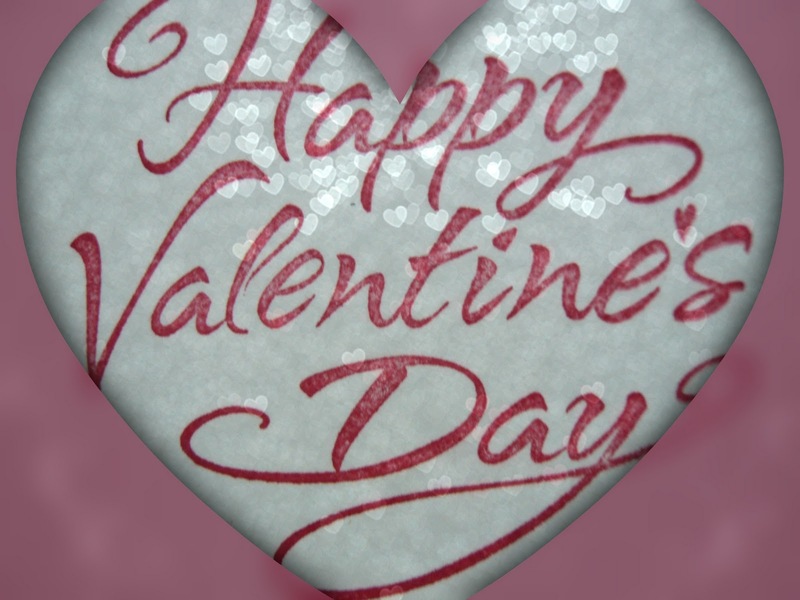 Dottie, from Ohio writes: I usually make a special dinner and decorate the table nicely with a card at each person's place setting - some years it contains money, some years they may receive a gift such as an engraved "treasure chest" or engraved heart-shaped jewelry dish. I make a heart-shaped cake and then we usually spend the evening playing a game or watching a movie. This year we may actually deviate from the "norm" since our kids are now 12 and 15 and go to a local church where two Christian groups are performing in concert. Either way, we will do something a as a family to spend time with each other as a reflection of our love for each other. Throughout most of our children's school years, we lived overseas where Valentine's Day was not celebrated, so there was no opportunity to run to the store and buy cheesy kids' Valentines. Since our children attended an American Missionary Kid school, the teachers still liked to celebrate Valentines Day, so we got creative. Now I'm a stamper and make all the cards I send out year round, but back then we folded red and pink paper in half and cut out hearts, made pop-up cards, cut heart-shaped windows into cards, stuck the stickers grandmas kept us supplied with onto cards, and even did origami cards. The best thing about this kind of card is that what you say to someone is so much more meaningful than a store-bought card. Every year I make about a dozen cards and we send them to widows and divorcees who don't have someone special to send them a card filled with love. At least two widows have told me that my card is the only Valentine's card they receive and they enjoy it so much. Who do you know that might need a small dose of love this year? I recently heard a guest on a radio program tell about her first year as single mom. She had no money for Valentines so she cut out paper hearts and put a mobile of them together for each child. Each mobile had the child's name on one heart and one attribute she loved about them on each of the others. She hung these from the kitchen ceiling late on February 13 so they saw them when they got up on Valentines'. The next year on the 13th they asked if she was going to do it again. Guess what she stayed up late doing? When a friend came over and asked what they were, her son said, "Oh my mom does that every year." A tradition was born! Have you told your kids what you love about them? Tessa, in California, asked me, "How do you turn a holiday which is overpriced and focused on romantic evenings for two, into a family friendly celebration of love?" Tessa, I hope I showed you how a little creativity goes a long way in teaching our kids how to show love and think about others who need love. Next Friday I will finish my 3 part series on Valentines by sharing with you my amazing Hot Fudge Sundae Cake recipe. Don't miss it! Gooey chocolate is a great way to top off a Valentine's Day full of love! What Did You Hear Today?